This is my favorite piece of antique furniture in my entire home, and was wondering if anyone can tell me anything about it? To be quite honest, I bought it at a yucky lil flea market probably 30 yrs. ago, and never have really investigated as to what kind of piece it is. I'm wondering if it's Victorian, French or what? And what do you call it? 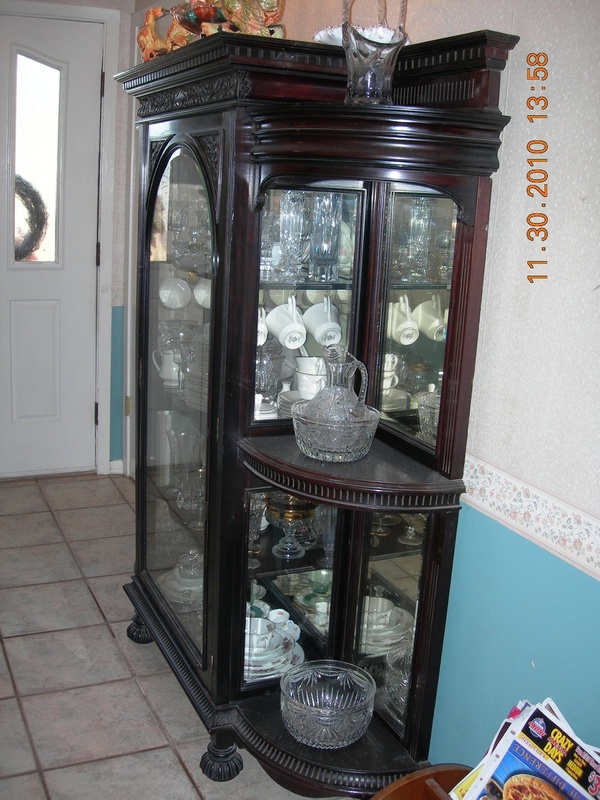 Is it a display cabinet or a china cabinet? 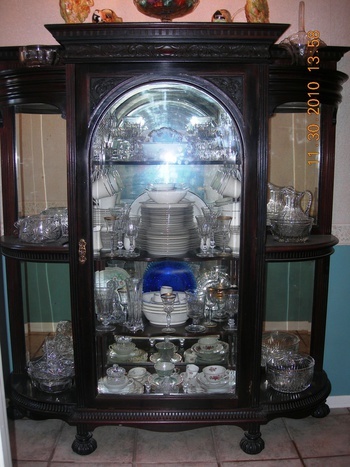 I just ran across your website & thought I'd see if anyone can tell me anything about this piece, as it's always been a mystery to me...LOL I had an antique restoration fella kinda "tighten it up" for me about 7-8 yrs. 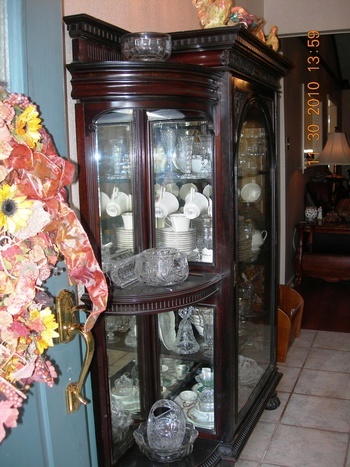 ago, and said that he had several people that wanted to purchase it & I could probably sell if for $4,000 - $5,000??? Is this reeeeeeeeeally true?? Is it really worth this much? Just wondering what the value of it is as well as any info ya'll might be able to give me on it. Love, love, love the website!